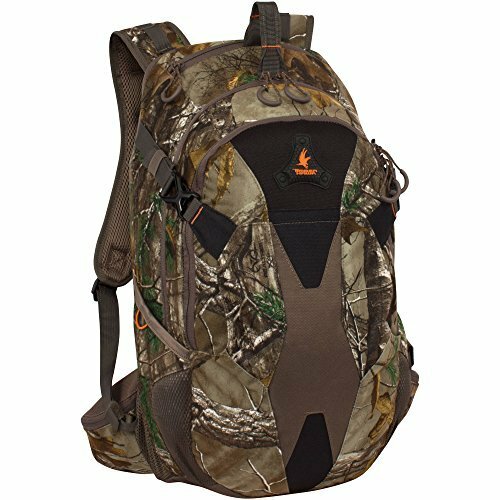 Upgrade Your Hunting Gear With This Timberhawk Big Basin Daypack. It Features A Large Main Compartment And Four Accessory Pockets For Additional Storage. The Realtree Xtra Backpack Is Made With Noise-Reducing Quiet Cloth And Is Hydration Compatible (Reservoir Not Included). It Also Has Left- And Right-Side Bottle Pouches And Webbed Accessory Loops. The High-Density, Breathable Foam-Padded Back And Shoulder Straps Provide Added Comfort. This Model Includes A Hawkeye Bino Strap System And A Sternum Strap.